Welcome to the Lenscraft in Focus newsletter for May 2018. There’s lots been happening at Lenscraft and lots more in the photographic industry in general. But we are going to kick off with a tutorial discussing LUT’s. I’m certain you’re going to be hearing a lot more about this technology in the next couple of years. If you haven’t already heard about LUT’s, I expect you will do soon. The film industry has used LUT’s (look up tables) for some time but now they are catching on with photographers. 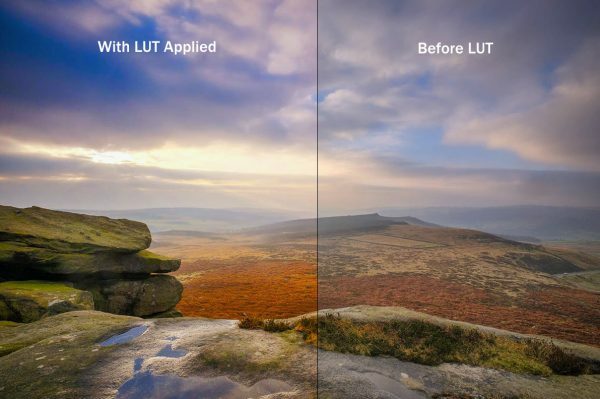 Adobe already support LUT’s in Photoshop and are now moving Lightroom in that direction. It’s only a matter of time before the rest of the industry integrate the technology. No, I will correct that statement. Skylum has already implemented support for LUT’s into Luminar 2018. This is going to be a significant shift in image editing technology and it’s much easier to use than the name might suggest. This article will explain a little more. As mentioned above, LUT is short for “look up table”. The idea is quite simple. You take colour and tonal information from an image and map it to a value. Imagine a long list of numbers that you can look up in a table to determine what the new number should be. This is where the name lookup table comes from. Another term you might hear in relation to LUT’s is Color Grading. The film industry uses this technique all the time to give their films that special cinematic quality. I found this link to a website with a few simple but powerful examples https://www.subtraction.com/2015/01/13/color-grading-movies/. And guess what, there are a lot of Pro Photographers out there who also use Color Grading techniques to create dramatic photography and a signature look. If I go back a few years to when I started to investigate Color Grading, most of the techniques you would read about involved adding and adjusting Curves layers in Photoshop. Yes, this will work but it can be a little complicated and time consuming. That’s when I came across LUT’s; they are much simpler and allow you to separate the image editing/correction from the special effect. By that I mean you can correct your image to create a good basic photograph. You could then apply the LUT and you instantly create that “special cinematic look”. As I started to investigate LUT’s, I realised Adobe added the technology (they call it Color Lookup) back in Photoshop CS6. I did recall them doing this but as all the talk was about video effects, I largely ignored it. What I had failed to grasp was that you could just as easily apply a Color Lookup to a still image. Let’s take a quick look at the process with an image I have already processed, which you can see below. In the Properties dialog you can select from one of three dropdown lists (“3DLUT”, “Abstract”, “Device Link”). These lists contain predefined LUTs installed to Photoshop and which you can apply. If you don’t like one of the LUTs you can change to another. Here you can see the result of applying the LUT I used, without making further adjustments. Because we can apply the LUTs are as a layer, it’s possible to combine them with other layer controls. For example, changing the Opacity of the layer, or the Blending Mode or even applying a layer mask to the layer. In the following image I duplicated the Color Lookup layer, changed the blending mode to “Soft Light” and reduced the Opacity of the two layers. You may prefer the original image. What I’m trying to do is show you how powerful this technology can be and how quick and easy it is to use. If you want to learn more about LUTs and how you can use them in Photoshop (including exporting new LUTs), I produced a short tutorial video on YouTube. Now as I mentioned in the introduction, Adobe has gone to the trouble of integrating LUTs into the latest version of Lightroom (7.3). The approach is a little different to that used by Photoshop, but this is probably a first step to something else. The reason I say this is that they also went to the trouble of publishing new support material for developers and shuffling around the Lightroom interface to accommodate the change. If you haven’t seen it already, I published a short video on YouTube explaining the changes. At this point, I suspect some of you are wondering where to get LUT’s. If you search of Google, you will certainly find people selling new LUT’s although the prices can be high. You could produce your own by combining other LUT’s, as I demonstrate in the video above. But there is also another way using some rather impressive software that I’m going to cover in a future newsletter and on Youtube. If you haven’t already subscribed to my Youtube Channel, here’s the link https://goo.gl/GCZq33. I’m now releasing new videos each week. On the 25th May 2018 new legislation comes into force that will affect the entire internet. The legislation is GDPR and provides rules governing how the personal data of EU citizen is managed. This is irrespective of where the website is hosted, what matters is where you the user live. I have been busy making a couple of changes to the Lenscraft website to ensure compliance. You will find a new link in the top menu bar on Lenscraft to help you manage your emails. This allows you to unsubscribe and subscribe to the newsletter mailings. When you log in to Lenscraft you will continue to be redirected to your Account Profile Page. You can also access this any time using the “My Account Profile” in the “Members Area” menu. Here you can update your password, make changes to your name and email and view all the data that I hold about for your membership. All data is encrypted and the Lenscraft website has long used SSL to secure pages sent to your browser. GDPR has introduced the right to be forgotten. This means that you can request I delete your membership account. Previously this happened automatically when you unsubscribed from all emails or your email address bounced three times. Under the new legislation there needs to be the option to make a request. You will find this at the bottom of the Account Profile page you will see the option to make this request. After that, your account will be closed and deleted within 48 hours (often much faster). Please be aware that this can’t be reversed, and you won’t hear from me again unless you re-register or subscribe. Member News – You will receive the monthly newsletter and any membership announcements such new book and course launches, discount codes, free gifts etc. Guest Newsletter – A new list for non-members to receive the monthly newsletter. You can also subscribe to this rather than Member News, if you only want the newsletter and not the announcement emails. Both members and non-members can manage their subscriptions using the new “Manage Emails” page mentioned above. You can see the new screen below. As a Lenscraft Member you can now subscribe and unsubscribe from the lists without affecting your Membership Account. Your Lenscraft Membership account will only be deleted if you request it. I do though periodically delete unused accounts and will continue to do so. 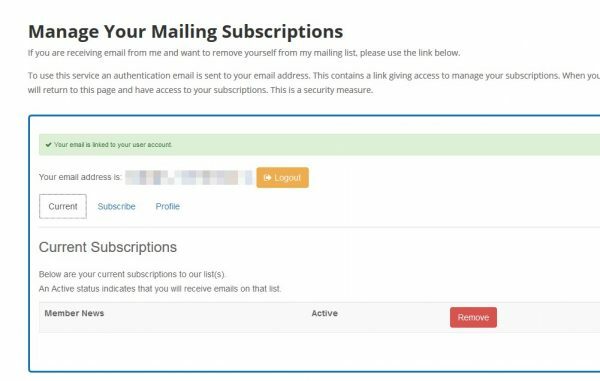 If you are a Guest Newsletter subscriber and not a Lenscraft Member, unsubscribing from all mailing lists will automatically delete your guest account and all records of your subscriptions. Whilst subscribed, guests can view the subscription information by clicking the “Profile” link. This also allows email and name details to be updated. I hope these enhancements make it easier to use Lenscraft and I’m very happy to answer any questions. Here's some of the interesting photography related content I've found over the past month. Have you come across Daniel Kordan? I spotted his work on 500px. What initially attracted me was the feeling of surreal landscape I got when viewing his portfolio. But then I noticed I had visited quite a few of the locations featured from Bolivia, Argentina and Chile. When I took a closer look at these images, they still retained a sense of reality of the area being photographed. You can find his portfolio on 500px. If there’s one thing that makes working with Photoshop quicker and easier, it’s learning keyboard shortcuts. 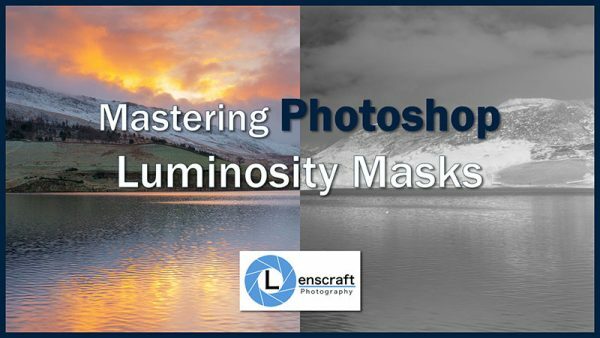 Anyone who has taken my new Luminosity Masking course will know this only too well (more on that shortly). I came across this short article on FStoppers which provides a useful list. The latest issue of Cameracraft is out. This is always a good read with a broad coverage. I also recommend looking at Ken Koskela’s Inspirational Landscapes magazine. Although shorter than Cameracraft and promoting Ken’s workshops (we all need to earn a living) it’s a great magazine with helpful articles. I’m also pleased to announce the new holder is now available in the Lenscraft shop and included in the Kase filter kits. You can visit the shop with this link https://lenscraft.co.uk/lenscraft-store-2/kase-photography-filters-kits/. On the 23rd April 2018 I received an email I hadn’t expected. SmugMug, has Acquired Flickr from Yahoo. How this will change what Flickr offers isn’t yet clear, but I expect there to be change in the future. SmugMug currently only offer paid subscriptions, designed to give you a website presence. Flickr is free (although there is a paid option) and about sharing your photography and participating in discussions with other photographers. Currently the two don’t feel like a natural fit to me so it will be interesting to see how this plays out. I do hope this is a positive development. Someone contacted me a couple of days back asking if I was aware of any developments with DxO, the company that bought Nik from Google. The word on the web is that DxO Labs is in receivership, but this may just be a rumour. I’m still receiving emails from DxO Labs, so I hope this is nothing more than a rumour or misunderstanding. I would really like to see them succeed and launch a new generation of Nik tools. I’m continuing the process of releasing my books in print. 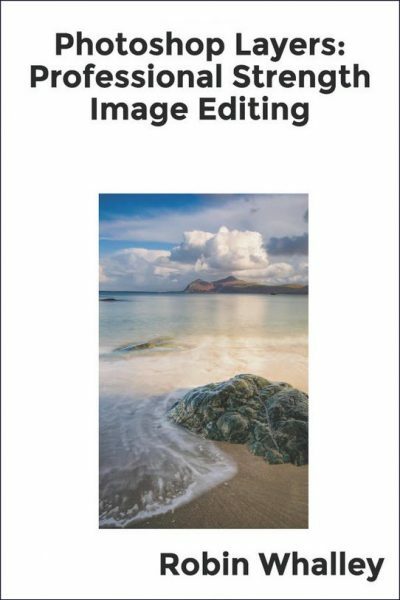 The latest release is “Photoshop Layers: Professional Strength Image Editing”. It’s been a little delayed due to a problem with the cover at Amazon, but this has now been resolved thanks to some excellent technical support. Thank you to everyone who has purchased the new course. It has been very well received and I’m encouraged to develop more. I also realised this newsletter will be the first time some people read about the course and that the launch discount is about to run out. Given this and the technical problems I know some people experienced, I’m extending the discount period with a new coupon code. 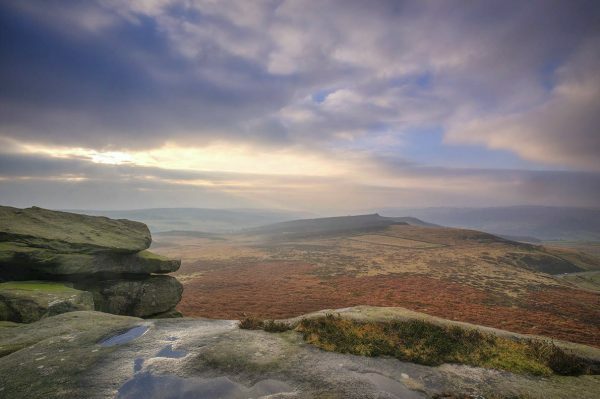 The code gives a 50% discount, reducing the price of the course to £10 + any local taxes. The new coupon code and link shown below are valid until the end of 6/5. The June issue of Lenscraft in Focus will be distributed around the first Saturday in June. All the best and happy photography.